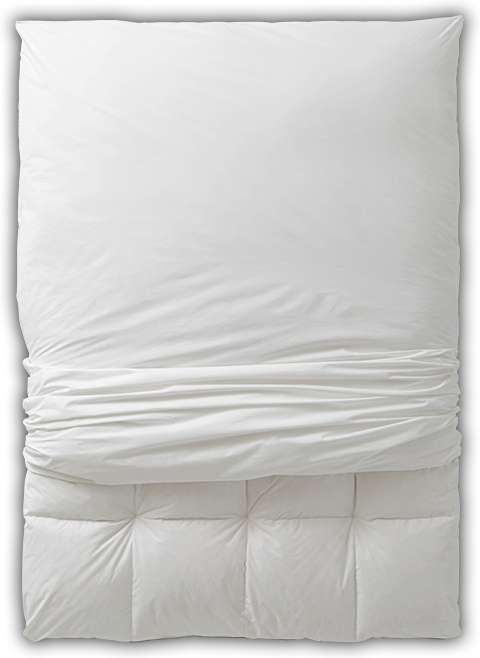 Our machine washable, zippered cover is an essential companion to your feather bed. Cotton zip cover fits over your feather bed so it will stay cleaner and last much longer. The protector fits snuggly and feels very soft. I've had the protector for several weeks and still have not seen one feather push its way through. I recommend the protector if you plan on sleeping on a feather mattress. I haven't had a sleepless night since. Prolong the life of your quality feather bed by covering it with our Basic Feather Bed Protector in 230 thread count, 100% cotton. Because the recommended care for feather beds is spot cleaning, a zippered cover is a wise choice to keep it cleaner longer. The cover slips easily over your feather bed where it can then be fully enclosed by the zippered bottom. When its time for care, refresh your Basic Feather Bed Protector in your washing machine.